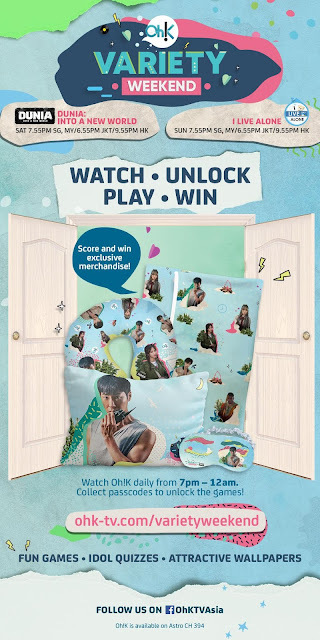 GOKPOP | Exclusive K-News in Malaysia & Singapore: Stay Home for Oh!K's Weekend Variety Combo 2018: Exclusive Merchandise Awaits! Stay Home for Oh!K's Weekend Variety Combo 2018: Exclusive Merchandise Awaits! We’ve all had weekends where we’ve found ourselves making up excuses and reasons to stay home instead of going out with friends and family. 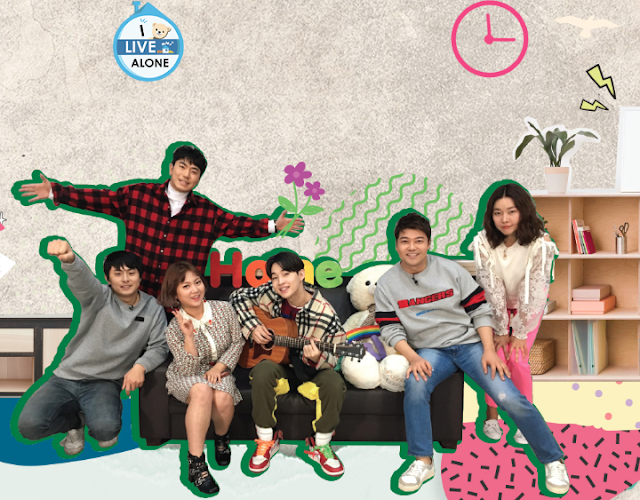 This July, Oh!K (Astro Ch 394) is inviting you to get comfortable on the weekends and tune in to its latest new variety shows, Dunia: Into a New World (every Saturday at 7.55pm) and I Live Alone (every Sunday at 7.55pm), as part of their Weekend Variety Combo 2018. Staying home has never been more exciting! With exclusive Oh!K merchandise featuring your favourite K-pop stars such as TVXQ’s U-Know Yunho, K-rapper DinDin, and actor Kwon Hyun Bin to be won, all you have to do is tune in to Oh!K daily from 7pm – 12am, collect passcodes to unlock games that you can play to stand a chance to take home these attractive prizes! The contest will be from 1st July (Sunday) until 22nd July (Sunday). To find out more, kindly visit this microsite: www.ohk-tv.com/VarietyWeekend. 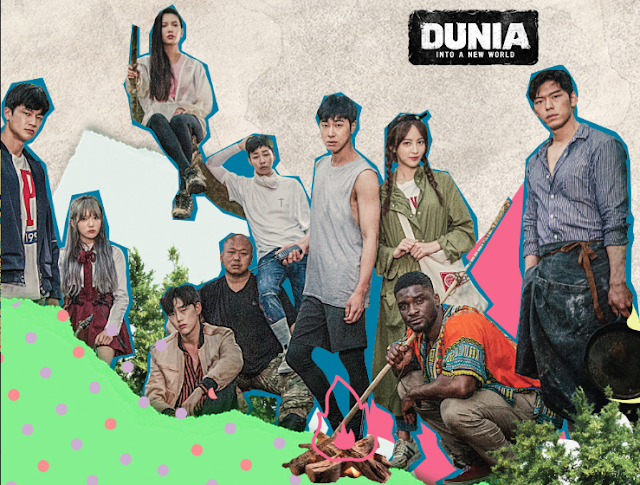 Follow the exciting adventures of a group of celebrities after they fall into a mysterious, virtual world called Dunia. As they encounter a brand new world, they have to learn to adapt, survive and work with one another. It's the survival of the fittest and a battle of wits as they find ways to thrive in the wild and escape. The show is closely linked to the game Durango: Wild Lands, with each cast member affiliated to a character in the game.